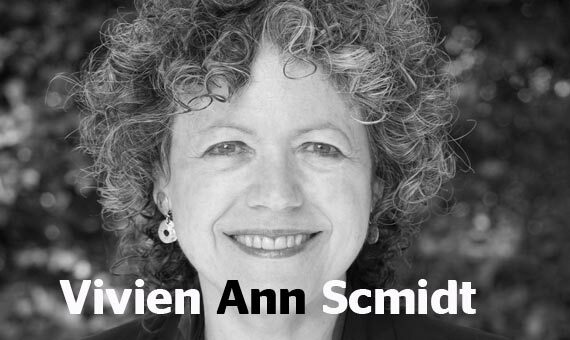 Vivien Ann Schmidt is Jean Monnet Professor of European Integration, Professor of International Relations in the Pardee School of Global Affairs, and Professor of Political Science at Boston University,where she is also Director of BU’s Center for the Study of Europe. Her recent books include Resilient Liberalism in Europe’s Political Economy (co-edited, Cambridge 2013), Democracy in Europe (Oxford 2006), and The Futures of European Capitalism (Oxford 2002). She is currently at work on a book on democratic legitimacy and the Eurozone crisis. European integration has become an increasing challenge to national democracies. As more and more policy decisions are taken at the EU level or removed to technocratic bodies, national politics has been gradually emptied of substance. The Eurozone crisis has made such matters worse not only because of the economics and politics of hard times but also because EU governance processes and policies have themselves become less ‘democratic’. How can national democracies be reinvigorated while rebalancing the EU’s ‘democracy’ in ways that enable both levels to interact productively within the new EU realities?